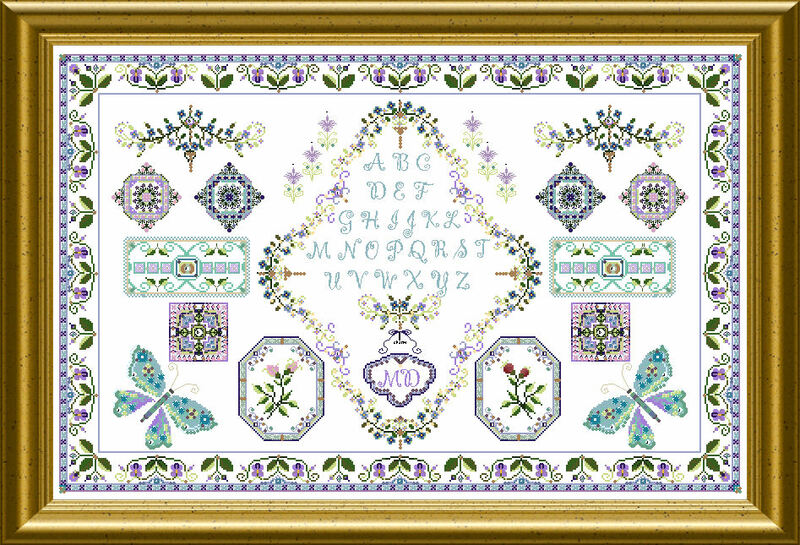 This is a delicate sampler style design in light and airy colors. 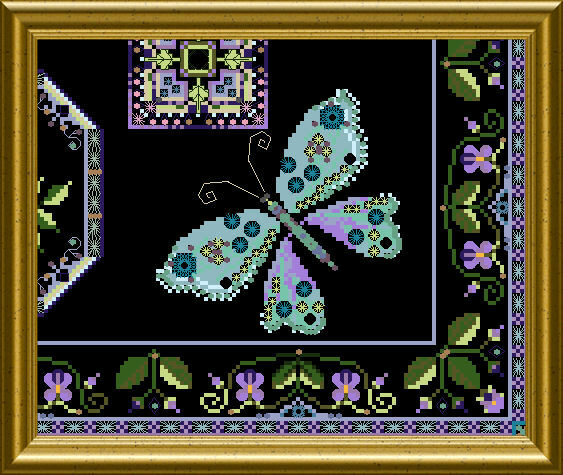 Butterflies, a border of Pansies, ornaments with beads and crystals – you will use an array of pretty threads, beads and sew-ons. 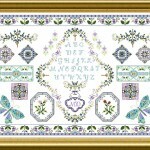 Together with cross stitch you will work Special Stitches, well explained by diagrams. An added alphabet allows for personalization. 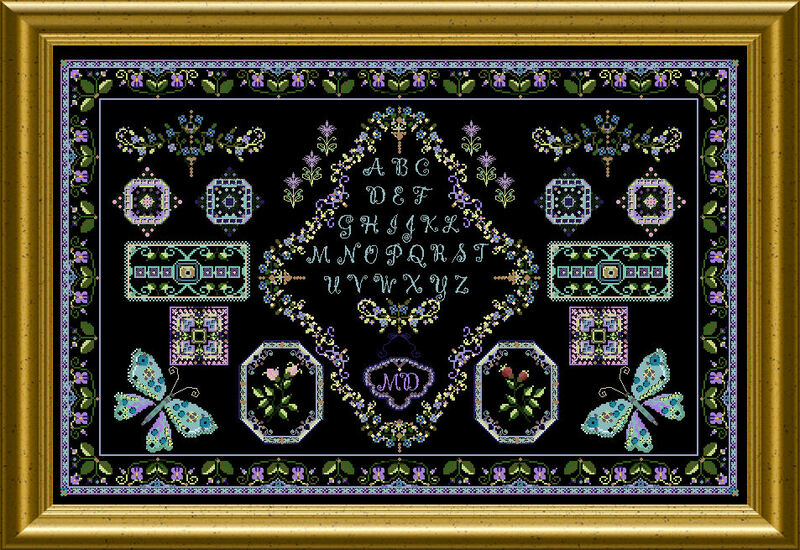 Recently I purchased onl 34 butterfly garden sampler. The instructions came through fine but the pattern is way too small. I attempted to enlarge the pattern but the symbols are way too fuzzy. 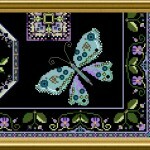 Could you send a workable copy of the pattern. Thank you. FB Support Group – there are instructions files for enlarging and printing with PDF. The files are fully ok, btw.